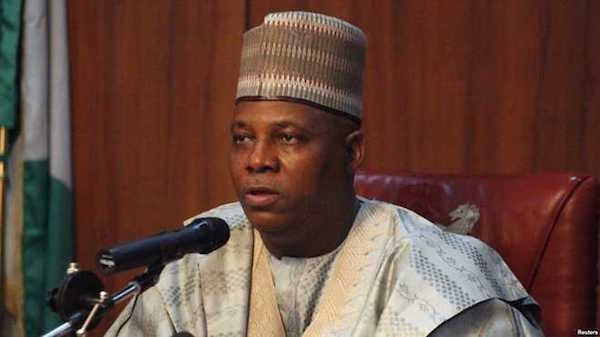 Borno State Governor Kashim Shettima has warned Nigerian governors that “what awaits the country will be worse than the Boko Haram insurgency” if they don’t stop looting from the public treasury and focus on enhancing the well-being of the masses. “The most important yard stick has to do with the quality of governance; there is more to leadership than primitive capital accumulation. “No matter how much you accumulate beyond a certain point, it’s just a number,” Shettima said. The governor gave the advice on Tuesday in Abuja at the 2017 graduation of Internally Displaced Girls under the Organisation of Female Students Scholarship Scheme. He added that unless something was done fast to address the plight of the common man, “what awaits the country will be worse than the Boko Haram insurgency”. According to him, this is violence that cannot be separated from poverty, and a hopeless, jobless, ill-educated and ill-paid young man is the most dangerous. Shettima stated that it was the responsibility of governors to enthrone good governance by “wearing their thinking caps” and working for the people. He stressed the need for governors to create more jobs, invest in education and create work space and work stations for the next generation of youths.